Health care providers now have a new tool to help decide whether a liver surgery patient needs a blood transfusion, thanks to a study led by Drs. Guillaume Martel and Dean Fergusson. Liver surgery often involves major bleeding, and about one in four patients will receive a transfusion. While transfusions can be lifesaving, they also come with small risks such as infections, allergic reactions, cardiovascular effects and possibly worse cancer results after surgery. To develop the tool, a multidisciplinary panel of experts performed a systematic review that looked at 468 scenarios before, during and after liver surgery. 47.4% of the situations were appropriate for transfusion, 28.2% were inappropriate and 24.4% were uncertain. 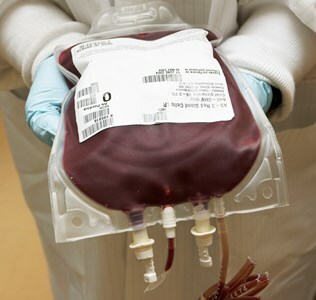 The resulting tool published in Annals of Surgeryuses a number of patient factors to calculate whether a transfusion is appropriate, inappropriate or uncertain. This tool is unique because it can be applied to transfusions given both during and after liver surgery. The next step is to validate the criteria in the clinic. Funding: Department of Surgery, University of Ottawa and the Ministry of Training, Colleges and Universities.